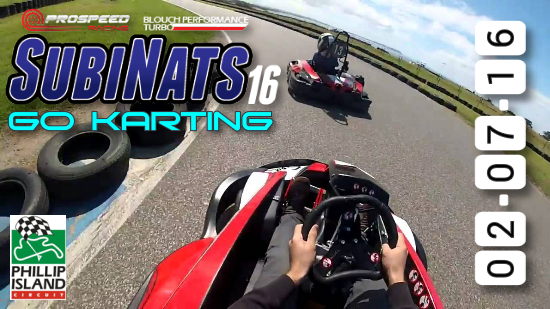 Join us for the SubiNats Go Karting championship. The event will be run in a Time Attack sprint format, and the entrant with the fastest lap time from any of the multiple sessions will be crowned the SubiNats Go Karting Champion! Now with a NEW fleet of go-karts, The Sodi RT-8 with a 9hp Honda GX270 engine capable of reaching speeds of up to 75km/h which is needed down the long main straight of the replica circuit. Sprint Sessions, drivers split into multiple groups. Winner with fastest lap time overall.